Christine Goerke is getting ready to join the long, storied line of Brünnhildes who have scaled Wagner’s epic “Ring” cycle at the Metropolitan Opera. It’s one of the toughest assignments in opera: her first complete “Ring” cycle, a sprawling 17-hour, four-opera saga of gods, dwarfs, giants and humans that she’ll star in this spring. It’s a triumphant return to the stage where Ms. Goerke trained as an insecure young artist in the 1990s. When she sang a small role in “Götterdämmerung,” the fourth “Ring” opera, at the Met in 2000, she would linger in the wings after her exit, watching the soprano singing Brünnhilde and thinking: “Some day.” Ms. Goerke overcame her self-doubt to achieve success singing Mozart and Handel. Then catastrophe struck, in the form of a vocal crisis. The problem was that her voice had grown too large for the roles she had been singing. She slowed down, retrained, and re-emerged, against the odds, as one of the leading dramatic sopranos in the world. “People can’t get over the sheer power of the voice — and I don’t mean only the volume,” said Alexander Neef, the general director of the Canadian Opera Company in Toronto, where she sang her first staged Brünnhildes. “It’s the communicative power. Written in two acts, the opera has been a huge hit with audiences ever since it was first performed. 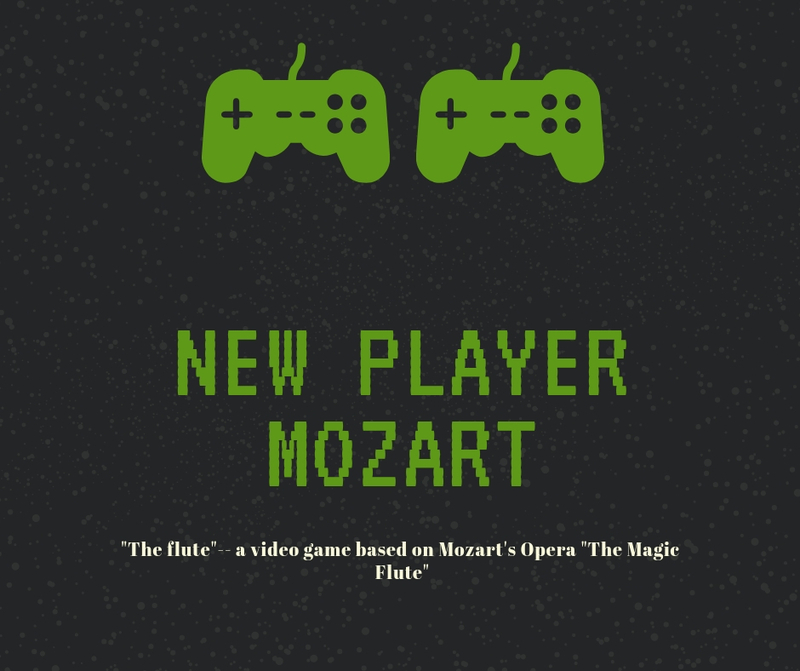 And now, it's been turned into a video game, taking Mozart's story to a new audience.